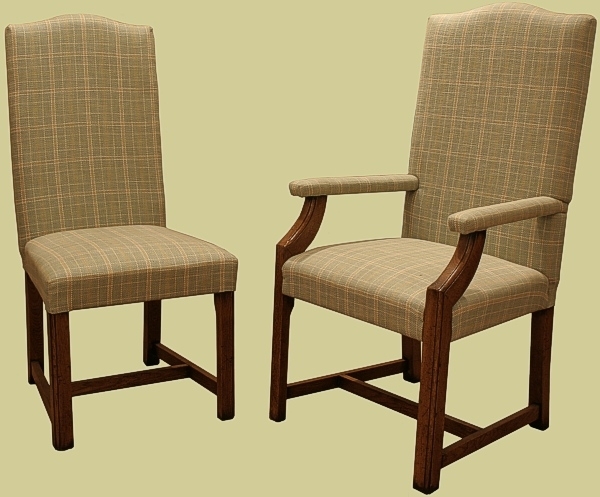 Our Berwick semi-bespoke range fully upholstered side chairs. 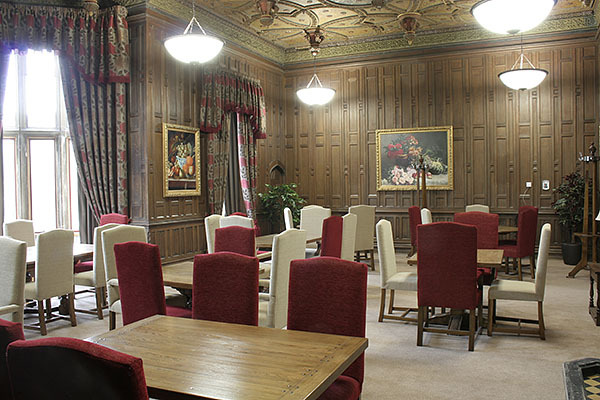 Shown here, in the oak panelled dining room of an old priory, recently converted to prestigious retirement apartments. Our client chose two different colour fabrics, to add interest, and the oak was colour matched to their dining tables (purchased elsewhere).